Features designed for music professionals. Not for playtime. Distribute your music releases through the world's biggest streaming services. Once you've used Magnetracks to do all the heavy lifting required to get music ready for release, why should you have to then go to a standalone service just to distribute those tracks? With Magnetracks, it's all built in. Get your tracks onto Spotify, Apple Music, YouTube and whatever new services pop up tomorrow! Plus, all the valuable sales and streaming data is integrated right into your dashboards, putting you in the proverbial driver's seat. Your entire musical empire... wherever YOU are. Having all your in-progress and release-worthy masters, edits and alts mixes in the cloud, Magnetracks makes it so easy to share tracks and ideas with your co-writers, or fans through social channels. Plus, with quick and easy searching and the ability to send out custom playlists, your pitches just got a heck of a lot easier too. And it gets better... Magnetracks is also optimized for your mobile device! This means pretty much anything you do on your laptop, you can do with your thumbs. No apps to install or update, and no additional cost. - Attach documents to any track, project or license. 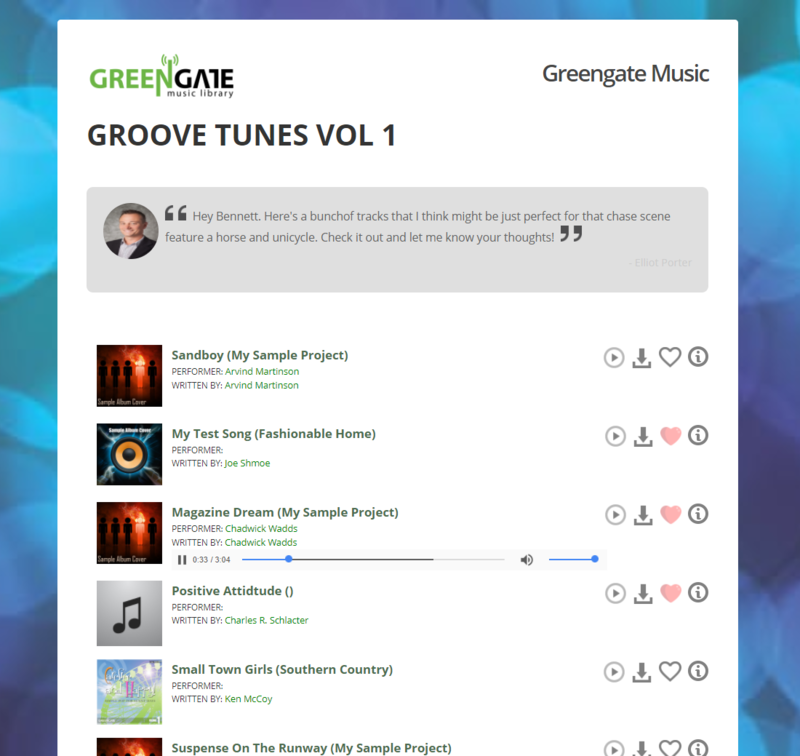 Effortlessly create branded playlists and monitor their activity. Beyond just saving your pitch history, Magnetracks captures every play, download, favorite and page view so you know what your clients like before they even ask. Instant notifications tell you when your playlist is being reviewed and by whom, helping you act proactively to engage them. There is just too much stuff we want to tell you about. Request access to the constantly-expanding full list of Magnetracks features. Make your music production and promotion decisions based on facts, not hunch. With Magnetracks, whether you’re managing multiple acts or just yourself, you’ve got all the tools you need to schedule your upcoming gigs, promote them, and take care of all the moving parts involved in pulling off a killer show! Your music production projects and creative contributors are in perfect harmony. Your industry relationships are forged through your ability to deliver. 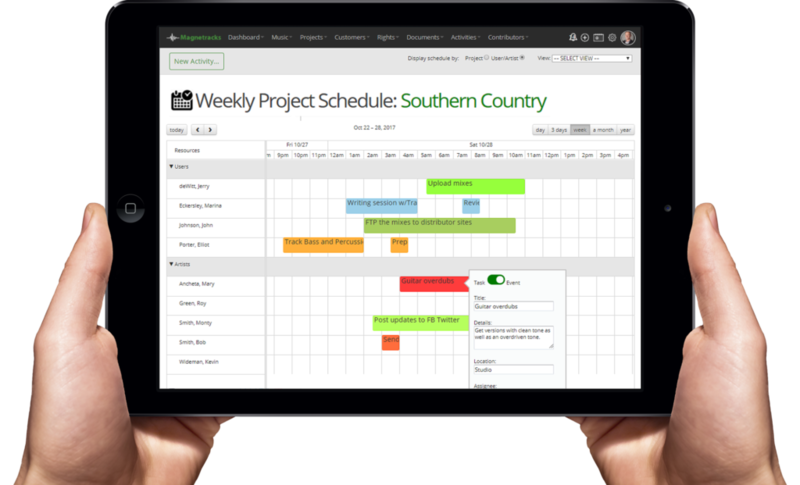 Magnetracks gives you the tools you need set and meet deadlines every time. All aspects of your production process are maintained through an easy drag-and-drop interface designed to keep everybody focused and in-sync. Post a project, invite submissions from your network, review demos, assign and complete tasks and capture all the paperwork in one place. 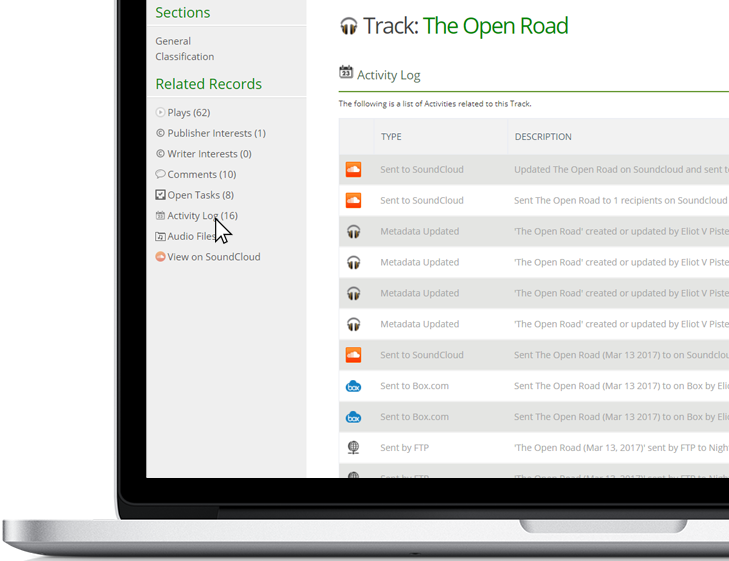 - Automated client searches using "Track Alerts"
With the ArtistPortal (included in Business Edition), all your contributing artists have a direct login to submit demos, upload required contracts, and receive review feedback. 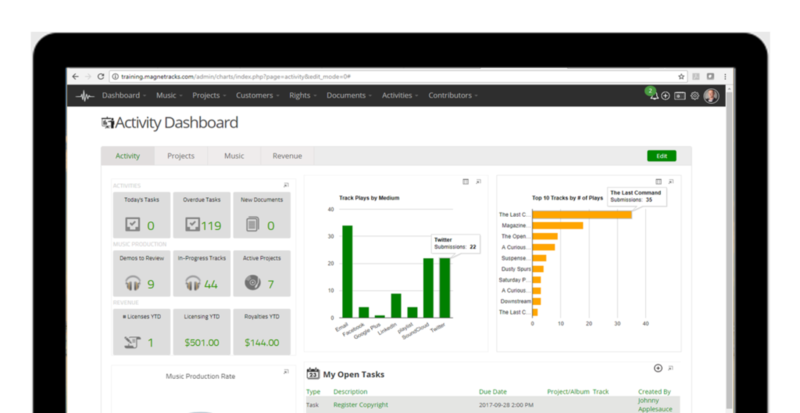 You set the project requirements up front and do the actual reviews, and let Magnetracks keep the writers informed when the status of their submission changes; sending auto-emails and project updates. Kiss email folders and spreadsheets goodbye forever. 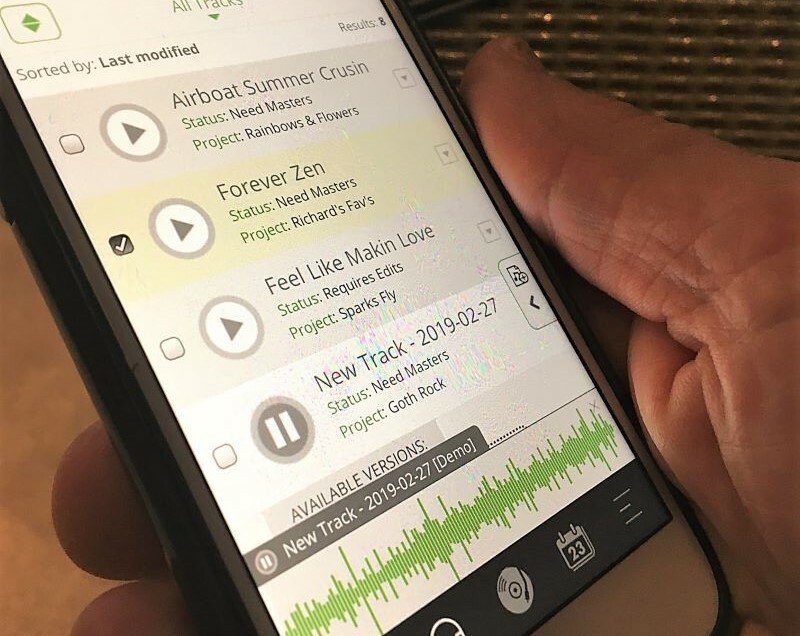 Magnetracks connects you to the apps musicians use every day. Instantly send tracks or albums to Soundcloud and invite others to listen. Magnetracks automatically imports their comments. View your Google Calendar events among your Magnetracks schedule to see the whole picture. Easily send documents, finished tracks and album art to anybody using your Box.com account. Keep in touch with your fans and followers and promote your releases through your social networks. Magnetracks captures every play, download and 'favourite' to give you rich insights. Just about anything you manage in Magnetracks can be easily imported or exported via a simple spreadsheet. Injest your entire music catalog, export royalty reports, import your contacts... you get the idea. Register your works electronically with your performing rights society using this unique collaborative effort of ASCAP, BMI, and SOCAN. There's just no substitute for a test drive. Try Magnetracks with no obligation for 30 Days. Ever lose track of what songs you've pitched to what music library? Or when that publishing deal with Killer Hits Music expires? Wondering when you last heard from that awesome session vocalist you did some tracks with? You can frantically search your email sent box (again), or you can see everything you need to know from their history in Magnetracks. Just watch your industry relationships become stronger.